In this page some of the most important tourist attractions in the flats area, are described as well as the distance to reach them departing from the residential complex. 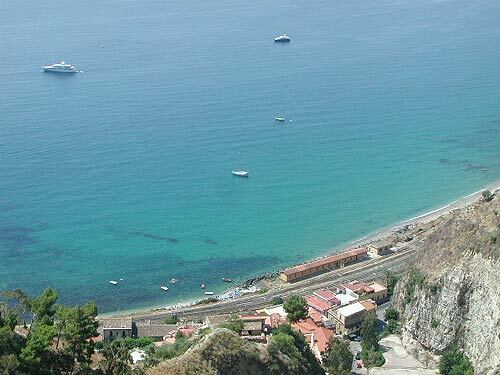 Tindari is a small city far 40 miles circa from Messina and around 50 minutes drive from Acqualadroni village towards Palermo direction. The city was built in the Greek period and it has still some ruins, like the Greek-Roman theatre and the peripheral walls, still possible to view with a guided visit now. Nowadays the city is one of the most famous attraction in the whole Sicily due to the presence of a big sanctuary situated on the top of a cliff. From the square around the cathedral it's possible to see a stunning scenario like the beach under the cliff, the Tyrrenian sea and the Aeolian islands.. In the sanctuary it's worshiped the statue of a black "madonna" brought by the East part of the World during the 9th century. Around the sanctuary you can also find several shops that re- create the Sicilian "folks" in the mind of every tourist. Click on the link below to see more details about Tindari. Taormina is one of the most famous touristic place in all Italy. It's located in the North East part of the island, around 30 miles south respect to the flats location. The origin of the city is not clear but the most trusted source refers to the Greeks, arrived in the east coast of Sicily before 7th century BC. It's clearly recognizable the sign of the Greek period, in particular looking the 2 ancient doors on the North and South part of the city "i.e Porta Messina and Porta Catania" . A Greek theatre offers the possibility to the tourists to appreciate during the summer, a rich port folio of plays and comedies refer to the theatre link for the complete list of events. The city is positioned over an hill on the Ionian sea, offering stunning scenario to visitors and tourists. 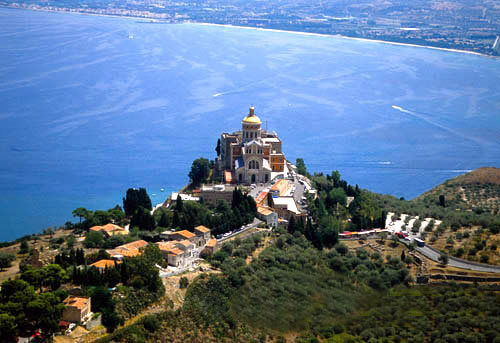 It's also known as "la Perla dello Stretto" the Pearl of Messina Strait. The Strait is the narrow sea portion that separate Sicily from the main land. The Aeolian islands archipelago is a group of 7 islands situated in the North East part of Sicily. Every year they attracts lot of visitors from different parts of the world. 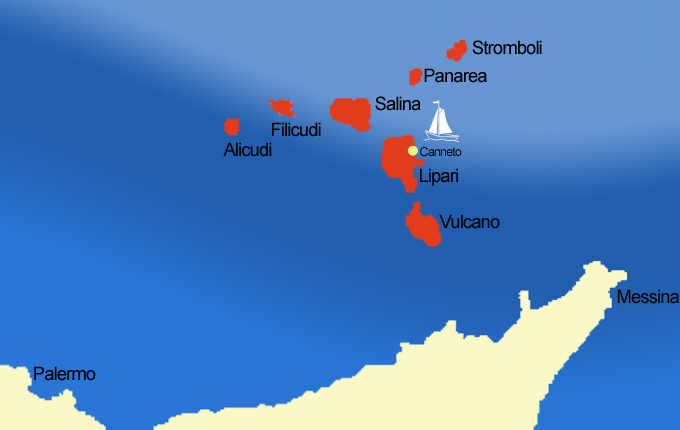 The origin of this archipelago is volcanic, the biggest island is called Lipari, 2 islands are volcanoes (one: Stromboli is still active). It is possible to reach the archipelago from Messina and from Milazzo cities with ships or fast boats. Journey take approximately 1 hours. From Milazzo during the summer period (from June till September), there are guided excursions to the archipelago please refer to this link for the timetable and the cost . You can find different type of beaches from rocks ones to white or black sands and also natural Spa used by elderly people to cure theirs back pain and aches.